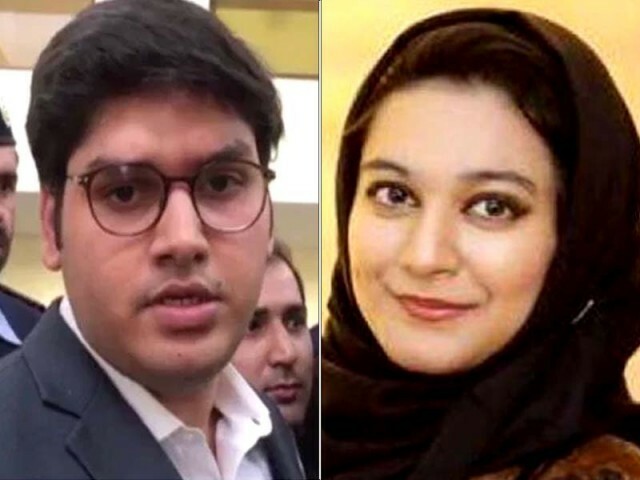 ISLAMABAD: A law student, Shah Hussain, who stabbed his class fellow, Khadija Siddiqui, 23 times in Lahore in May 2016, has been put behind bars after a Supreme Court bench led by Chief Justice Asif Saeed Khosa on Wednesday reversed the Lahore High Court’s (LHC) acquittal order. The three-judge SC bench, headed by CJP Khosa and comprising Justice Maqbool Baqar and Justice Mansoor Ali Shah, dictated a short order after a lengthy hearing. Barrister Salman Safdar and Dr Khalid Ranjha respectively represented Khadija and Hussain. The bench also allowed both Shah Hussain and Khadija to present their view at the end of hearing. A Lahore judicial magistrate handed down sentence of seven-year rigourous imprisonment to Hussain after finding him guilty of attempted murder on July 29, 2017. A sessions court in March 2018 set aside the minor penalties of the convict and commuted the sentence to five years. Last year, the LHC acquitted the convict on the basis of insufficient evidence. Former CJP Saqib Nisar took notice of the acquittal back in June 2018 and referred the matter to Justice Khosa for adjudication. The SC’s short order, dictated after 15-minute deliberations, said reasons of order will be issued later but “appeal is allowed by setting aside the LHC judgment about the acquittal of law student and additional judge’s order has also been restored”. Subsequently, Hussain was arrested by the capital police outside the courtroom No 1. This is the second criminal case in which the apex court ordered arrest of convicts after their acquittal by high courts. Earlier, the court reversed a Sindh High Court verdict and ordered arrest of Shahrukh Jatoi who killed the son of a policeman in Karachi in December 2012. Legal experts believe that it is not ‘an open and shut case’ as the prosecution could not establish its case beyond reasonable doubts. Likewise, there were also glaring flaws in the investigation. They say unlike other criminal cases, the apex court has changed its approach to adjudicate Khadija case, which became high profile after media hype. During the hearing, the bench raised questions over the LHC verdict, saying that the high court totally misread and none-read the evidences in this case. The court also asked that when the victim knew that the attacker was Hussain then why she revealed his name after five days. Barrister Safdar said she was not in her senses at the time of the attack, adding that Hussain planned and only attacked Khadija, while he did not harm her driver. The CJP asked why Hussain wanted to kill Khadija and was this question put on record. “The suspect had a lot of chances to get killed. Why did he decide to kill her in a crowded area and was this point put on record. Stabbings can be a result of provocations, if the boy was interested in the girl then why did he want to kill her?” he further said. Barrister Safdar said it is on record that they both were very close to each other. Seven months before the attempted killing, they both ended the relationship. The CJP noted that the recovery memo states that a helmet and two hair strands were found. “Was a DNA test conducted of the hair?” he asked. The lawyer stated the police said they sent the hair to the forensic lab but the lab representatives said that they did not receive it. The CJP further asked, “Did the prosecution also request to suspend the LHC’s decision.” The Punjab additional prosecutor also opposed the LHC verdict acquitting Hussian. Defence counsel Ranjha said lapses on the part of prosecution cannot be read as proof against his client. He said the prosecution failed to prove its case beyond doubts in this matter and, therefore, the LHC gave benefit of doubt to him. “Whether deviation by the LHC from the available record is the ground against Hussain?” he also asked. Justice Khosa asked why the investigating officers in the case did not collect physical evidence. He asked why there was no evidence collected from Khadija’s car. “Just the investigation officer saying he saw blood is not enough evidence and not collecting evidence was a grave mistake,” he noted. Khadija’s counsel informed the court that the FIR in the case was registered on the family driver’s request. The driver was with the sisters at the time of the attack. Justice Khosa pointed out that since Khadija and Hussain met every day and the driver would pick and drop her, there was a high chance that he was also acquainted with the suspect, due to which Hussain was not nominated in the FIR. The CJP also wondered why Hussain sought a pre-arrest bail if he was not nominated in the FIR and was only named by the driver as a suspect. Khadija’s lawyer clarified that the driver said Hussain was a suspect after the victim’s statement. The CJP, while making light of the situation, said both the law students decided to practically examine the law. Justice Khosa also lauded Punjab’s forensic laboratory during the hearing and deemed it number one in the region and number two across the globe. Later the bench allowed Hussain to briefly argue his case as he was dissatisfied with his lawyer’s submission. Hussain said he was nominated because he refused to marry Khadija and ended the relationship. He said Khadija had expressed reservations over examination of letters sent to him. “The prosecution attempted to portray me as a desperate person,” the accused further said. Khadija also appeared before the bench. The CJP asked her regarding the statement she gave to the doctors, wherein she did not nominate Hussain. She said she had remembered very little at the time. After deliberations, the bench dictated the short order about reversal of the LHC verdict. After announcement of the verdict, Khadija and her parents started weeping in the courtroom. So SC claims that forensic lab in Punjab is number two across the globe!